“I don’t much care where … ” said Alice. Looking up Museum lane to the Somerset East Museum at the foot of the Boschberg. The museum is at the top of Beaufort Street with the Dutch Reformed Church at the other end. Somerset East's historic Dutch Reformed Church stand on the main drag through town at the intersection with Beaufort Road. After the village of Somerset (with the East only being added 30 years later) was established, a need started to arise for a church. The corner stone of the church was laid in 1830 and it was completed in 1833. The church in it's current form is the result of extensions made in 1870 with only a few of the original walls still remaining. 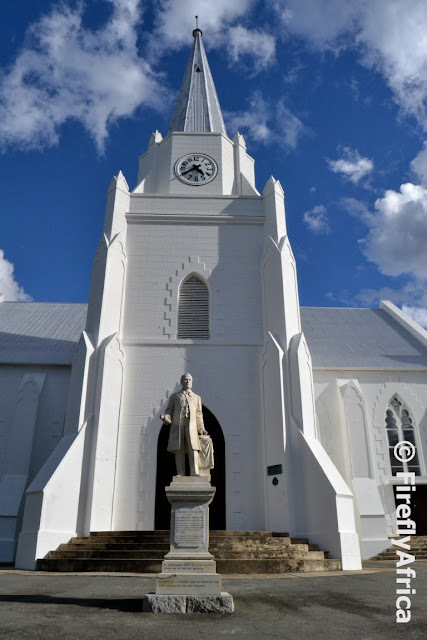 In front of the church stands a statue to Jan Hendrik Hofmeyr who was the dominee (reverend) of the church for over 40 years. 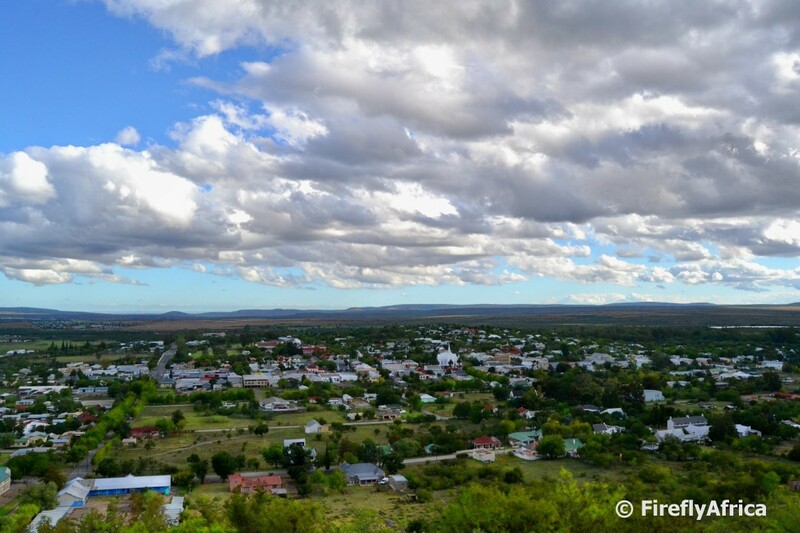 The town of Somerset East lies in the southern Karoo Heartland at the foot of the Boschberg mountain. Somerset East was established by Lord Charles Somerset in 1815 as an experimental farm to provide meat and fresh produce to the soldiers on the Eastern Frontier. 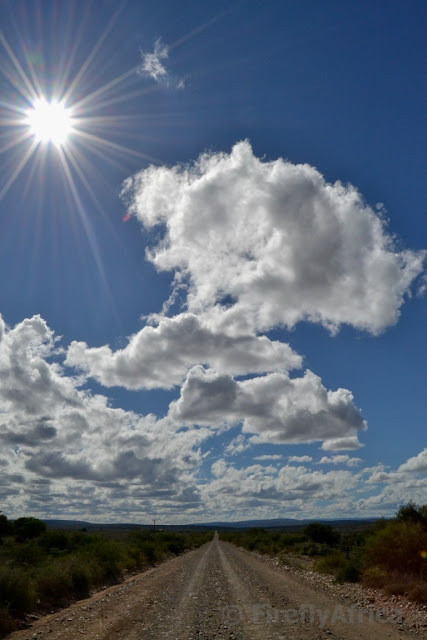 The site was chosen over sites in the Gamtoos Valley and Swartkops Valley. The farm was named Somerset Farm. Ten years after being established the project was cancelled and a new Drostdy was declared. The town of Somerset was established with the "East" being added 30 years later to avoid confusion with Somerset West outside Cape Town. Somerset East is home to a number of historic buildings of note while the surrounding area is great for activities like mountain biking and fly-fishing. 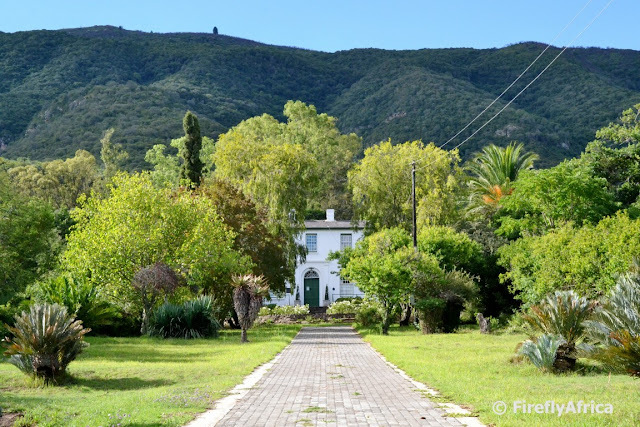 I spent a day in Somerset East recently just driving around town and visiting some of the historic building and attractions. At first I thought about just doing one post featuring it all, but because there wasn't really a story to my visit (other than the fact that I was actually there for a Karoo Heartland meeting but couldn't help but going sightseeing) I decided to rather do a series on Somerset East featuring a different place or view every post. 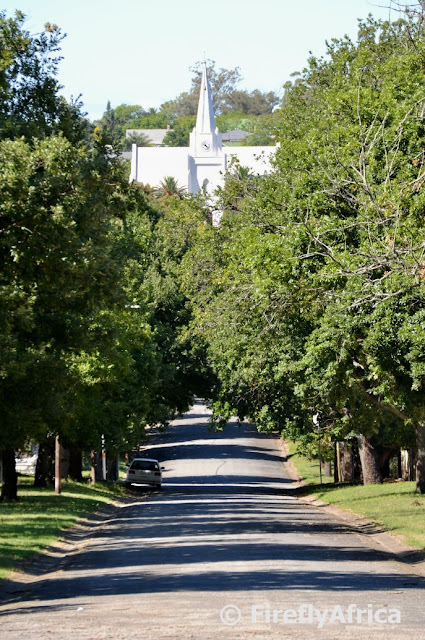 The picture in this post is the view from the Somerset East Museum looking along Beaufort Street towards the historic Dutch Reformed Church. 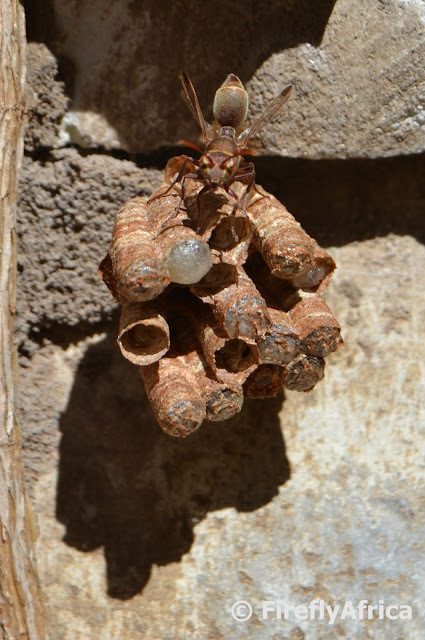 My yard seems to be a bit of a magnet for paper wasps (South African Paper Wasp - Polistes marginalis) with about three or four nests all around the house. I know a couple of Geocachers who would be able to tell you all about the fact that unlike honey bees that only sting once, the paper wasp can inflict multiple stings. The nest is built by a queen who lays the first eggs. As these hatch and grow up the females join the queen on building onto and tending the nest. Usually they are very docile but they will attack if threatened. Or perceived to be threatened like when I passed a nest the other day with the lawnmower and they decided to shoo me away. Bang bang bang, two on the arm and one on the neck. Everybody should head off the beaten track at some stage or another. 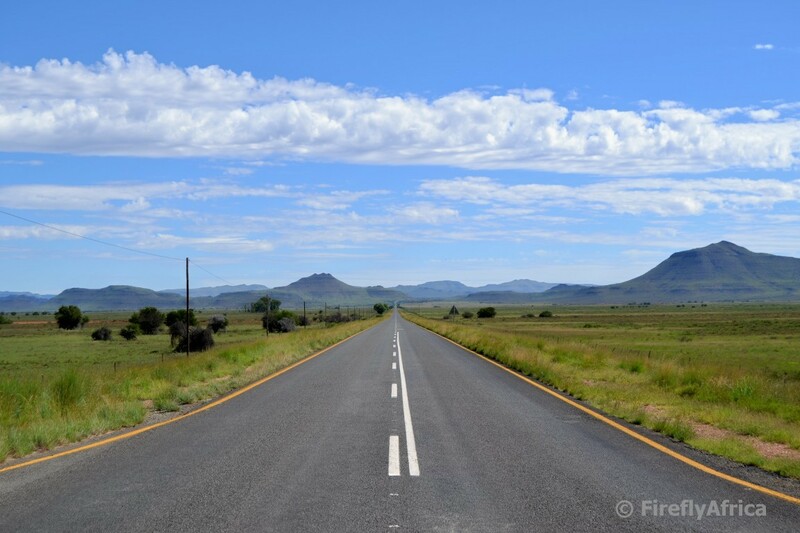 Stop in the middle of a Karoo dirt road and switch off the engine. Get out and stand in the middle of the road. Feel the sun on your face and the breeze in your hair. Listen to the cecadas with no car noise in ear shot. Smell the Karoo vegetation. 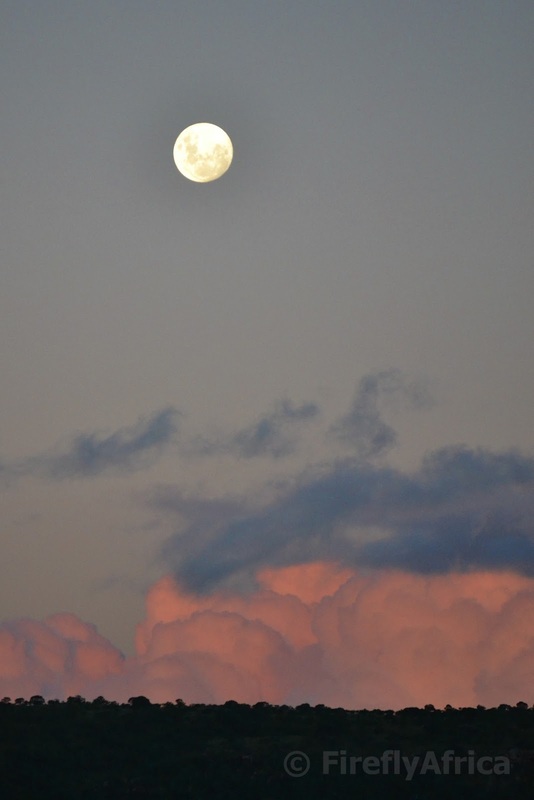 Watch the clouds move across the blue sky. Can you taste it? What can it be? Freedom.